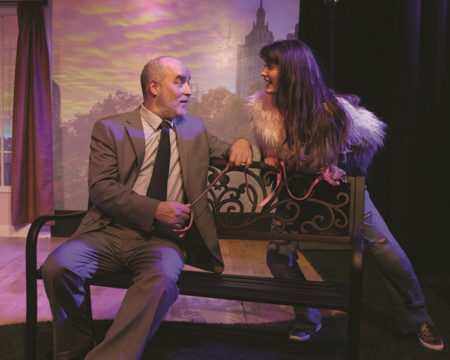 Nick Trolian and Hope Golds starred in a production of “Sylvia,” a play which visits the mind of a rescued puppy while exploring human relationships. “A Mark Twain Storybook,” with cast members Dylan Garafolo, Anastasia Dengerud and Josh Birdsong, presented a dramatic retelling of stories featuring characters including Huck Finn and Tom Sawyer. 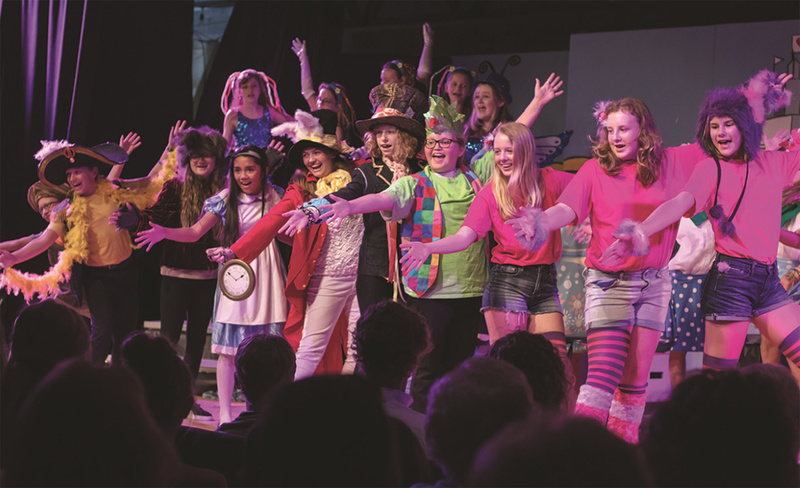 ↑ The Emerald Coast Theatre’s production of “Alice in Wonderland” gives children opportunities to get into character. All professional shows are performed Thursday through Saturday at 7:30 p.m. and on Sunday at 2 p.m. For more information on classes for young adults or to purchase tickets or subscriptions, visit EmeraldCoastTheatre.org or call (850) 684-0323.